Friday is here at last! What have you got planned for your weekend. We are getting ready for the GPNE show at Harrogate next weekend. Tonight we are sharing Jan's beautiful card. 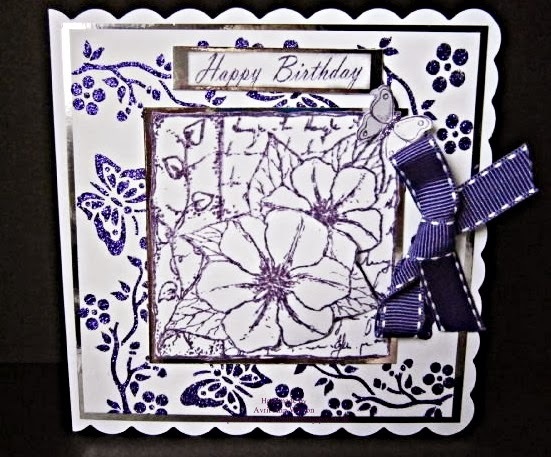 Jan has used another of our Dasiy decoupage stamp sets. 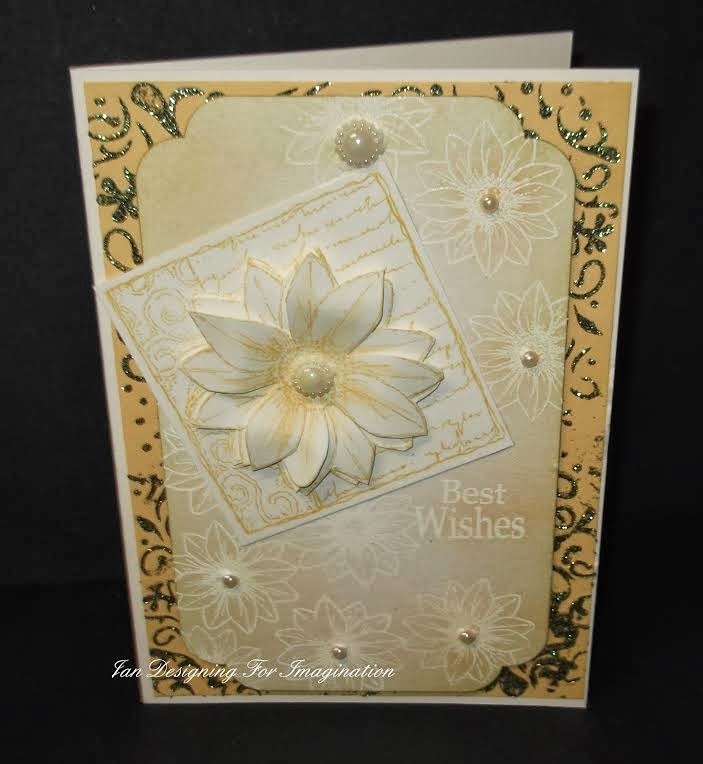 Please do hop on over to Jan's blog to see how she has made this beauitful card. How are you all today? We sure have been busy at Imagination Crafts HQ. The show season is upon us so we have been very busy preparing for the shows this month. Tonight we are sharing Nicky's beautiful wall hanging. Nicky has made a beautiful wall hanging with the Fuchsia Decoupage stamp set. Why not hop on over and see how she has made this! Monday sure has come around a bit too quickly for me! The weekends sure do pass by rather quickly. Our new challenge started on Saturday and the Design Team have created some fabulous projects. The theme for this month is "Imagination in Bloom".